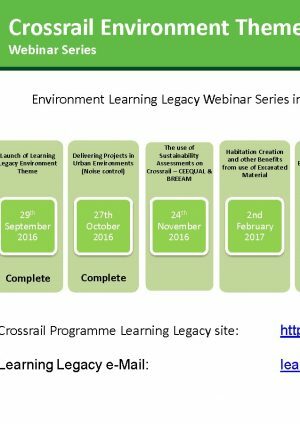 This was the sixth in the series of Crossrail Learning Legacy webinars focused on the Environment Theme. It presents an overview of the approach taken by Crossrail to managing archaeological sites in the urban environment; drawing on the experiences of the construction of the Broadgate ticket hall. An in-depth desk based-study and trial pits had indicated that this site just outside the old City wall contained a wealth of archaeology; thousands of human remains from the Bethlem burial ground, which was in use from the 16th to 18th century, marshy deposits from the Moorfields Marsh and finally a road and several human remains belonging to the Roman period. Innovative methods and use of resources was required to keep both fieldwork and post excavation work on schedule. This webinar discusses the different measures taken and methodologies used to complete this large-scale excavation in the middle of London, while adhering to best practice and respecting the construction programme. This topic will be of interest to a broad audience, but particularly intends to inform future construction projects and archaeological contractors, when planning and managing complex archaeology at a construction site. 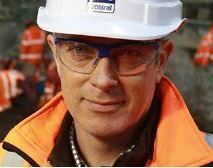 "The Crossrail Learning Legacy will provide CIRIA members and the wider industry with information and knowledge they can translate into good practice across future construction projects of any size or type."